Upgrade to more power and a digital display! 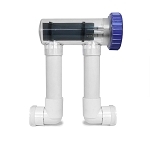 The generic replacement salt cell for Pentair IntelliChlor® models is a great way to upgrade your salt chlorinator system while replacing your old Pentair salt cell. The generic IC40 makes 2.1 lbs/day of chlorine (compare to a IC60 model!). Guaranteed compatibility when replacing your original OEM Intellichlor salt chlorine generator, delivering improved chlorination capacity so your equipment can run less, use less energy, and last longer! 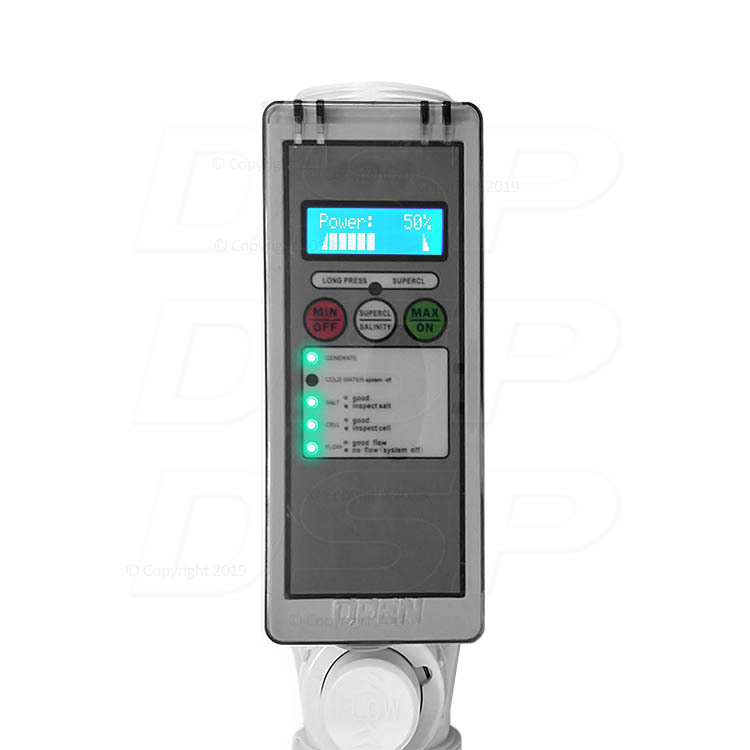 Even better, the generic Pentair IntelliChlor replacement cell comes with an onboard digital controller that allows you to adjust chlorine output with a tap of a button, and displays the actual salinity in PPM! With this aftermarket replacement, you get more and pay less! 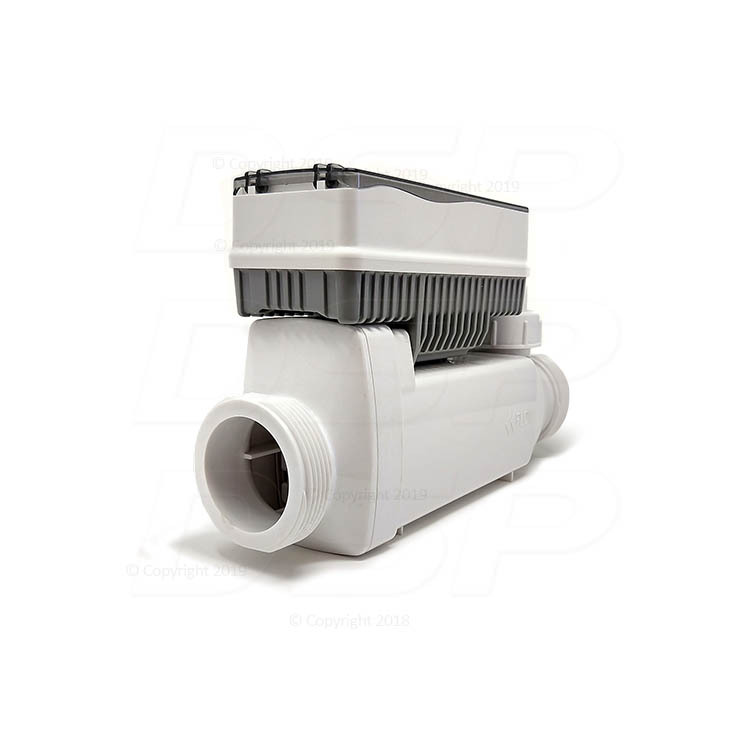 The generic Pentair IC40 replacement salt cell is an affordable after-market option that can provide big savings over more expensive OEM Pentair IC-40 replacement cell. Plus it's an easy drop-in replacement with guaranteed compatible connections for the Pentair IC-40 (as well as IC-20 and IC-60). The cell meets or exceeds factory specs and includes power adapter and unions compatible with the Intellichlor models. Much better than the original cell I replaced. Received it quickly and I didn't even need to read the instructions, it was easy enough that I removed the old Intellichlor cell and replaced it myself the evening it came in the mail. I especially think that this was a much better choice b/c it has a screen, you have more options for how it runs, and it's been keeping the pool clear running on a lower setting which is great. 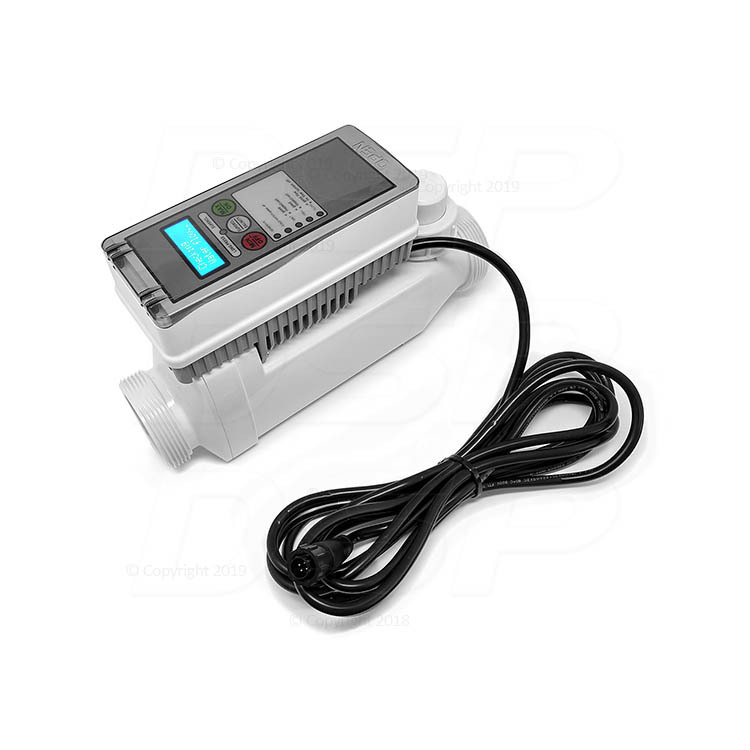 The generic Pentair IntelliChlor controls are built-in to the electrolytic cell. 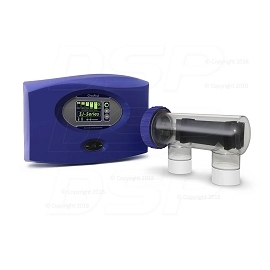 It has a bright LED screen that that displays the actual measured salt levels, ten sanitizer output power levels, and LED indicator lights to display if there is an issue with the salt level, water flow, water temperature, or whether the cell requires checking or service. 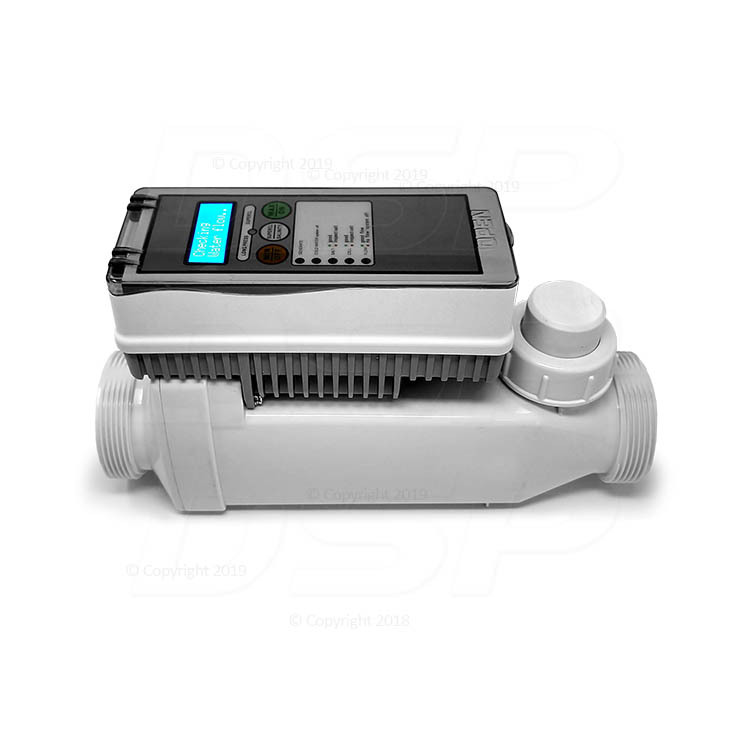 The controls also have a built-in mechanical flow switch that ensure sufficient water flow for chlorine generation. Under low water temperature conditions, the control's automatic shut-off feature protects the unit and prolongs cell life. 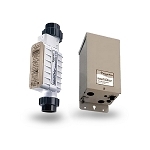 The generic Pentair IntelliChlor electrolytic cell is an inline opaque-plastic housing which contains built-in titanium electrode plates, built-in electronic controls, built-in flow switch, and built-in power supply cord. 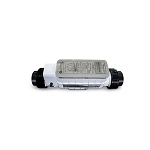 The generic IntelliChlor salt cell has threaded connections on the inlet and outlet, which allows direct replacement of original OEM Pentair Intelli Chlor salt cells and quick access for service or winter removal (if applicable). The threaded connections attach to the original unions which are glued to the existing return-line PVC plumbing. Manufacturer 1 Year Limited Warranty. All warranties offered are provided by the relative manufacturer and are limited to the terms and proration they provide. See manufacturer's documentation for a full description of warranty terms and conditions.